Entertainment Weekly gets excited for Jackie Brown. 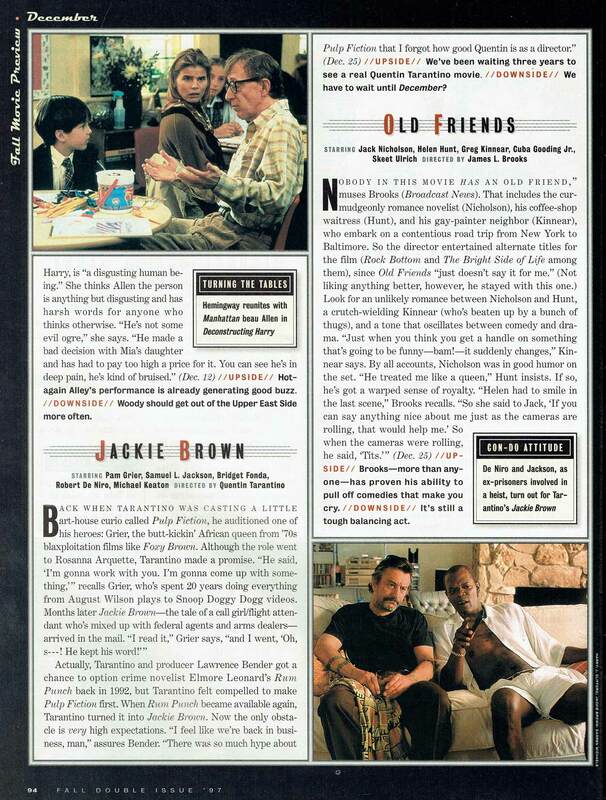 In their 1997 Fall Movie Preview issue, Entertainment Weekly turns their cover over to the cast of Jackie Brown while profiling Quentin’s newest as a can’t-miss for Christmas. Also note the magazine’s coverage of the soon-to-be-re-titled Oscar winner As Good As It Gets under its original working moniker Old Friends.